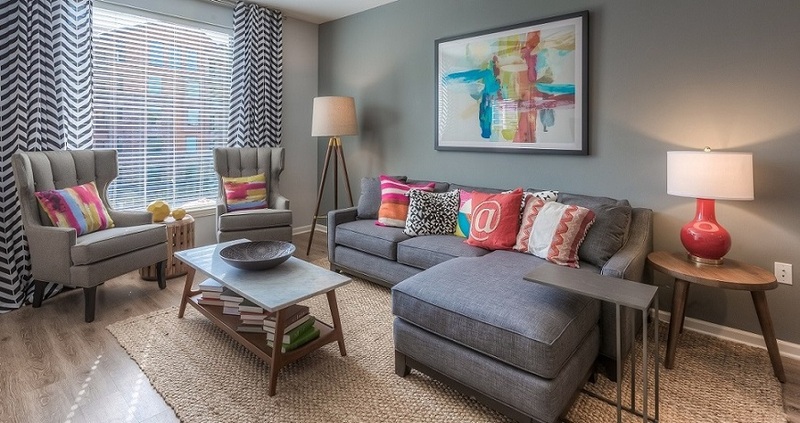 At Edgewater at City Center, we have an impressive selection of eight unique floor plans that aim to satisfy. You can choose from a floor plan that features either one or two bedrooms. Every apartment home includes a living room, dining area, kitchen, walk-in closet, private patio, and the corresponding number of bathrooms and bedrooms. Some homes even feature an extra space that can function as a den or an office. Endless amenities are at your fingertips with our high-end stainless steel appliance package, deep soaking tubs with tile surrounds, and large walk in closets with California Closets. Our community serves as an extended living space where you can enjoy at resort-style saltwater heated pool with extensive sun deck, dog run area with dog exercise equipment and dog wash, and large fire-pit with seating. With our astounding selection of eight spacious floor plans, it shouldn’t be difficult to find the perfect fit for you and your family.